Home » Archive by category "2014 Runner Updates"
This email was sent to all entrants on June 10. If you are an entrant and did not receive this, please check your spam folder. As you may have seen on our Facebook page or in our Twitter feed, the Western States Trail is now completely open with the exception of the Swinging Bridge just below Devil’s Thumb. What that means for you is you get to ford the North Fork of the Middle Fork of the American River with the aid of a cable at about mile 46 as runners did on Memorial Day weekend. It is currently above shorts level, but it may drop by race day. It will feel very good on race day. 1. If you have not already done so, please take a moment to go the link http://goo.gl/KXEH4X to complete a short survey related to the psychology study. 2. Please consider participating in the study on gastrointestinal (GI) distress by contacting Taylor Valentino (taylorvalentino@gmail.com) or Dr. Kristin Stuempfle (kstuempf@gettysburg.edu). 3. Please consider participating in the study on cardiac function by contacting Dr. David Oxborough atd.l.oxborough@ljmu.ac.uk. 4. Please plan to get a blood draw after finishing the race. You will get an email within a few hours providing your results. 5. Please find us in the finish line medical tent if you have had vision issues during the race. 6. Please complete our post-race questionnaire on GI distress and hydration that you will receive by email after the race. Western States is the final event of the 2014 Montrail Ultra Cup. 21 runners have gained entry into this year’s race by finishing top three (or four) at one of the five qualifying races. If you finished at least one of these races and have not signed up, you still have time. If you haven’t filled out the general information form, please take a moment and do so right now. It feels good to hear Tropical John Medinger thank your crew and pacers and say whatever you want when you run those final 250 meters around the track at Placer High School. Here is a link to the 2014 WS Race Program. A printed copy will be available for you at Squaw Valley when you arrive. Enjoy the countdown to the race. I won’t tell you how many days until Dr Lind fires the shotgun because you probably already know. I will send you one final email the week of the race. The following was emailed to 2014 entrants on May 15, 2014. Want to know how you can help advance science this year at the WSER? We have several studies again this year, and we need your help for these to succeed. Please read the information below so you are aware of the studies and opportunities to help advance science. Note that you can immediately participate in Study 1. We would like to recruit participants in advance of registration for Studies 2-5, so please contact the investigators if you are interested in participating in those studies. This study examines the ways that ultramarathon runners use their minds to complete an ultramarathon. The study will take approximately 10-15 minutes of your time and will involve answering a series of questions in our online survey that will ask you about your basic demographic information, running history, training profile, and the ways in which you mentally train, prepare, and execute an ultramarathon race. You will be asked to provide your name so that we can match your survey responses with your Run outcome. Once we have your Run results, all identifying information will be permanently erased from your survey responses. As a thank you for your time, you will be entered into a random drawing for one of four $50 gift certificates to the WSER store for completing the online survey. If you have any questions about your participation, please contact Dolores Christensen at christensen.dolores@gmail.com. During 100-mile ultramarathons, gastrointestinal (GI) distress is the primary reason for dropping out among non-finishers and it is the second most common problem impacting race performance among finishers. This study investigates the incidence and severity of GI distress in runners participating in the WSER, and explores possible mechanisms that may cause GI distress including hydration status, food intake and core temperature. We are looking for 20-30 participants for this study. Swallowing an ingestible thermometer (roughly the size of a multivitamin) 1 hour before the race start, to allow measurement of core body temperature at miles 30, 56, 78 and the finish. Being briefly interviewed at miles 30, 56, 78 and the finish about food, fluid, and electrolyte capsule intake, and the incidence and severity of GI symptoms. Giving a small sample of blood (about 1 teaspoon) pre-race and post-race for the measurement of blood lipopolysaccharide (LPS) concentration. We anticipate data collection at miles 30, 56 and 78 taking less than 5 minutes. To participate: Please contact (prior to the Run), Taylor Valentino (taylorvalentino@gmail.com or 415-408-8342) or Dr. Kristin Stuempfle (kstuempf@gettysburg.edu or 717-337-6448). The 12-lead ECG is a quick diagnostic test that provides us with important information related to the health of your heart and is used routinely for pre-participation heart screening in young athletes. At this year’s race (24-48 hours prior to the race) we will be undertaking a study to establish the normal 12-lead ECG criteria for the veteran endurance athlete. The ECG will take 5 minutes while you will be asked to complete a short questionnaire as well as having your height, weight and blood pressure taken. If considered appropriate (usually 10% of the screening population), we may invite you for an echocardiogram (ultrasound of the heart) to improve the sensitivity of the screening – this will take an additional 20 minutes. So if you are over 35 years old and want to know more about the health of your heart please volunteer for this study – the more participants we have the better. We can be found in the registration area on the Thursday and Friday before the race. To participate: The study is under the direction of Dr. David Oxborough. If you require more detailed information or wish to participate in this study, please contact him prior to the Run at d.l.oxborough@ljmu.ac.uk. In 2011, we published data from the WSER highlighting a possible negative impact on the right side of the heart following completion of the race. We developed this further in 2013 with conventional 12-lead ECG findings providing some support for the structural and functional changes observed from the right side of the heart. That aside, the 12-lead ECG with conventional lead placements is limited in providing detail of the right side or posterior aspects of the heart and therefore in order to build on previous findings we propose to undertake a study utilizing 3 different resting 12-lead ECG’s. Furthermore we plan to assess the blood electrolyte concentration in order to establish any link to any changes in 12-lead ECG findings. You will be required to have a 12-lead ECG with conventional lead placement, right-sided lead placement and posterior lead placements, have your blood pressure taken, provide a small venous blood sample and have your height and weight recorded 24-48 hours prior to the race and within 1 hour of completing the race. Each testing point will take approximately 15-20 minutes. If you are interesting in learning about the health of your heart and the cardiac impact of completing the WSER, please volunteer for this study. We are looking for approximately 20-30 participants. To participate: Please contact the study director, Dr. David Oxborough (d.l.oxborough@ljmu.ac.uk), prior to the Run to participate or to get further details about the study. Very little is known about the heart’s electrical activity during ultra-endurance exercise. At this year’s race we will be undertaking a study to develop our knowledge in this area. We will require a small sample of athletes to wear a small heart monitor for the duration of the race. The monitor will record real-time ECG data from 3 electrodes positioned on the chest. We continue our efforts to learn more about the underlying cause of transient vision loss that occasionally occurs during ultramarathons. In the event that you have some vision issues during the race, we ask that you come to the finish line medical tent and ask for the research team so that we can perform a quick examination. Contact Dr. Marty Hoffman (research@wser.org) for further information on this study. This study investigates the frequency and causes of GI symptoms. The more participants we have, the better. In fact, we would like every WSER runner to participate in the study. Participation includes simply completing a short, on-line, post-race questionnaire. You will receive an e-mail after the race with a link to the questionnaire. It will ask you to provide information about your GI symptoms during this and prior races. If you have any questions about this study, please contact Dr. Kristin Stuempfle (kstuempf@gettysburg.edu or 717-337-6448) or Dr. Marty Hoffman (research@wser.org or 916-843-9027). Hope your training is going well… Just 60 days until Dr Lind fires the shotgun in Squaw Valley to start the Western States 100-Mile Endurance Run! This is your second Runner Update. Preparations are going well from our end. The biggest challenge and effort has been getting the trail open after the American Fire burned approximately 19 miles of the Western States Trail last August. This has been an incredible collaborative effort on the part of the WSER trail crew and our dedicated partners: the Western States Trail Foundation (The Tevis), the US Forest Service, and the talented eight-member AmeriCorps crew, together with the many enthusiastic, skilled volunteers whose love of the trail inspires their hard work. The fire burned two bridges that we use in the race. 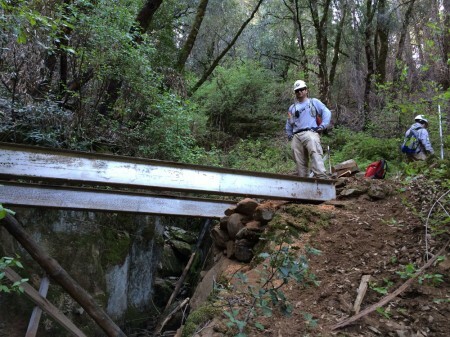 The smaller Pacific Slab bridge just west of Last Chance will be replaced this coming weekend. The Swinging Bridge over the North Fork of the Middle Fork of the American River will not be replaced until after the race. We will be fording that river with the aid of a cable. The crossing is not as long as the Rucky Chuck crossing at mile 78, but you will get wet. It is likely to be top-of-shorts level or less come Race Day. At mile 46, in the heat of the day just before you climb the steep switchbacks to the oasis known as Devil’s Thumb, this will be refreshing…and a special memory of Western States 2014. To find out about upcoming trail work opportunities, please visit the joint trail work website wstrail.org. Last weekend I assigned the bib numbers. I tried to give everybody the bib number they requested. Your number will not change so go ahead and use it on your crew shirts or drop bags. Your service requirement forms must received by May 15, 2014. Please check the confirmation page to ensure that your form has been received. Please don’t wait until the last minute, or make us contact you to ask where it is. This is a requirement of the WSER board, and has been so since 1998. Please also take a few minutes to fill out the General Information Form so that Tropical John Medinger will have something to say about you as you run around the track at Placer HS on June 28 or 29. The 2014 race program will be available as a pdf download about two weeks before the race. You will receive your hard copy up at Squaw Valley when you check in. This will include a list of all runners, aid station information, shuttle service, etc. In addition to trail stewardship and putting on a world-class 100 mile endurance run, the Western States Endurance Run Foundation is committed to supporting and promoting medical research to increase understanding of the effects of endurance sports on the human body. There will be several research studies this year. Details on participating in this year’s research studies will be sent out about six weeks before the race. It’s not too late to register for the first Medicine and Science in Ultra Endurance Sports conference, which will be held on June 24 and 25 in Squaw Valley. Registration is $300, and medical professionals can get CME credits for attending. If you know somebody who might be interested in attending, please forward them the information. After the Cal St Memorial Weekend Training Run on Sunday, May 25, we have a special evening planned. 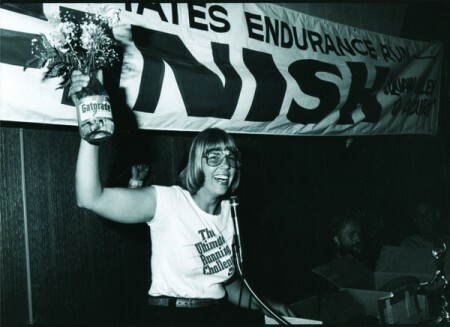 Gordy Ainsleigh, Shannon Weil, and Dr. Bob Lind will talk about the birth of the Western States 100-Mile Endurance Run. The discussion will be facilitated by 25-time WS finisher Tim Twietmeyer and 10-time finisher John Trent. Details can be found here. If we don’t see you at the training runs, we’ll #seeyouinsquaw. 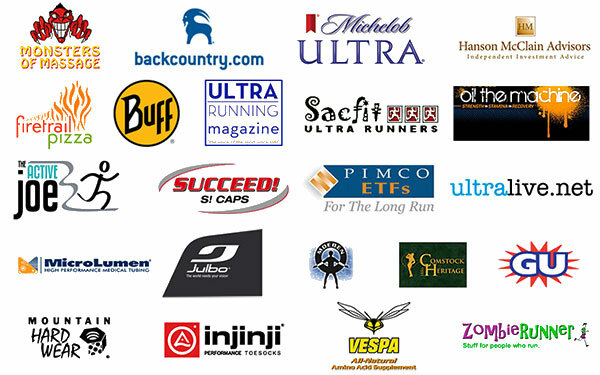 Congratulations on your entry into the 2014 Western States 100 Mile Endurance Run. Whether you were a top ten 2013 runner or a lottery winner with five tickets in the barrel, you have the opportunity that 2700 people wanted: to start at Squaw Valley at 5:00 a.m on June 28th, climb up 2500 feet to Emigrant Pass, and then run to Auburn. This is the first of several emails you will receive from me between now and June 28. These are to help answer general questions and to update you on the latest information regarding course conditions, shuttle services, etc. They will also be posted on the wser.org website in the news section so you can refer to them later. I will also be posting regularly on our Facebook Page. As you are probably aware, the August American Fire burned 27,000 acres in the Tahoe National Forest, affecting several miles of the Western States Trail. The USFS has been proactive working with Western States Endurance Run Foundation and Western States Trail Foundation (the Tevis) crews to go into “the black” this fall to prepare the affected sections of the trail for the winter. While there is still considerable work to do next spring, I am pleased to report that we will be using the historic trail for the race. One new challenge will be crossing the North Fork of the Middle Fork of the American River (Deadwood Canyon) just below Devil’s Thumb. The Swinging Bridge at the bottom of Deadwood suffered damage which will require substantial work next spring/summer. For the race it is looking like we’ll be crossing the river just downstream of the bridge either with the help of a cable or boats. Details TBA. Please read the online participant guide which contains information that you must be familiar with, including medical and other risks; performance, pacer and crew rules; aid station and drop bag information; race week agenda; lodging info; and a course description. 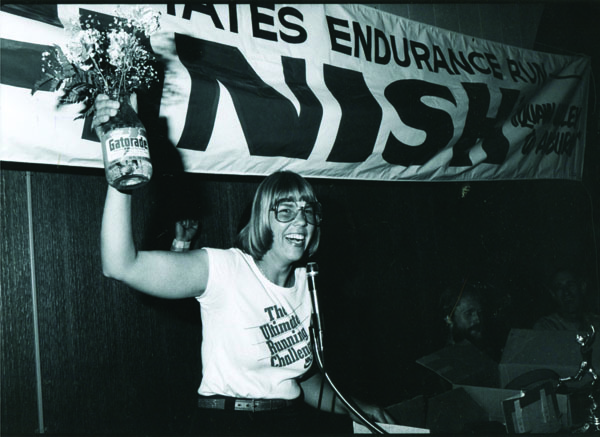 Since 1998, WSER has required eight (8) hours of volunteer service by each entrant. Performance of this requirement can be in the form of trail maintenance or volunteer services at any official running event. Please submit this form to us by May 15, 2014. Branded merchandise is available at the WS Store. 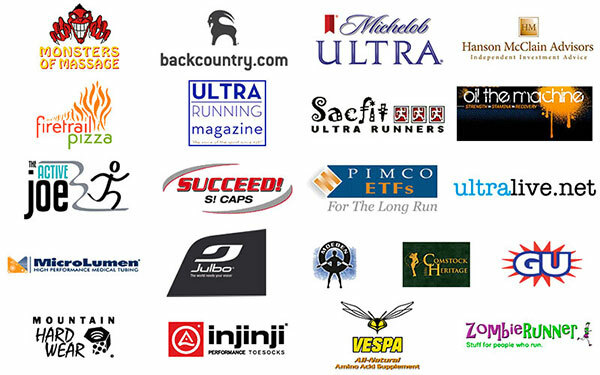 It is always available online and they will also be physically set up at training runs and the start/finish line. They will have crew shirts available before the race. If you are planning on making your own crew shirts, you may use the WSER logo as long as you don’t sell the shirts. Please respect our intellectual property. There are four training runs scheduled before the race which offer an opportunity to get time on the final 70 miles of the course. On Feb 15 we’ll run the last 20 miles. On Memorial Day weekend we have three training runs on three successive days over the final 70 miles. These runs are open to anybody. If you are planning on doing them, sign up early at ultrasignup as each of them fill to capacity long before Memorial Day. If you have any questions don’t hesitate to send me an email.